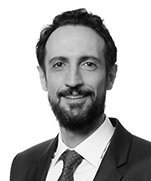 Antonio Celso Pugliese is one of Vella Pugliese Buosi e Guidoni Advogados founding partners and the head of the Litigation and Arbitration practices. With more than 20 years of experience, Antonio focuses on complex commercial crisis and litigation challenges, including high profile cases in Brazil. He has wide-ranging experience representing clients in trials, class actions and arbitrations for companies in all areas of industries. Antonio is recognized as one of the leading dispute resolution lawyers in Brazil by Chambers and Partners Latin America and Chambers Global. “He is perceived as a knowledgeable and proficient lawyer. He is well versed in class actions, financial administration disputes and contract enforceability issues” (Chambers Latin America). “Clients note his strategic thinking and peers describe him as ‘creative, committed and extremely hands-on” (Chambers Global). He is also considered one of the most admired dispute resolution lawyers in Brasil by Análise Advocacia.